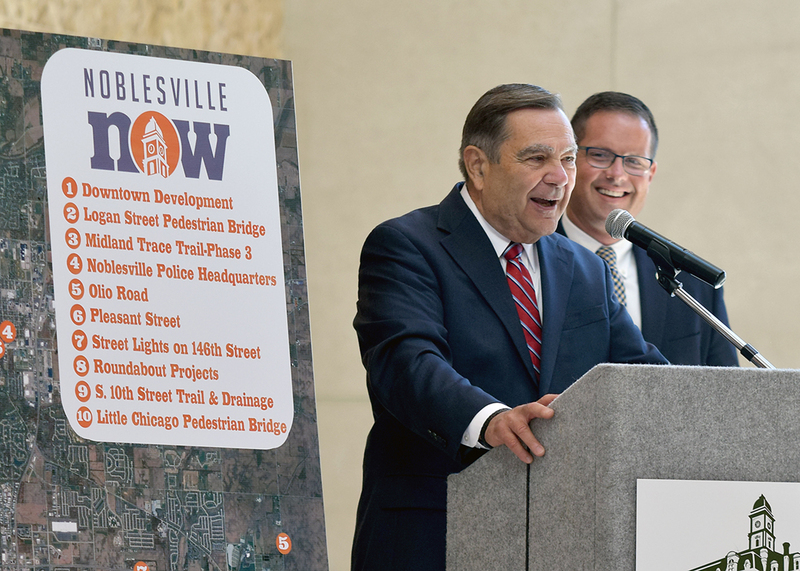 Earlier this month, the City of Noblesville unveiled “Noblesville NOW,” a five-year capital improvement plan that identified 10 major projects throughout the city. The city’s last capital improvement plan was launched in March 2016 and included projects like the Little Chicago Road Trail, Phase I of the Midland Trace Trail, a study on a new police station, the five points roundabout on 10th Street, downtown street lights and studies on the extension and widening of Pleasant Street. Focused primarily on improving connectivity, the new capital improvement plan focuses on trails, road improvements and housing. At the top of the list is bringing more urban-style housing downtown. Ditslear said at least two developers are looking build in and around downtown. This type of housing could meet the city’s need for “middle housing,” as identified in the 2016 housing study. Middle housing is defined as multi-family structures, ranging from duplexes to townhomes and multiplexes. In addition to seeing some additional housing, a parking garage is planned to meet the needs of those living in the added housing and for those visiting downtown. The long-discussed Logan Street Pedestrian Bridge will break ground this year. 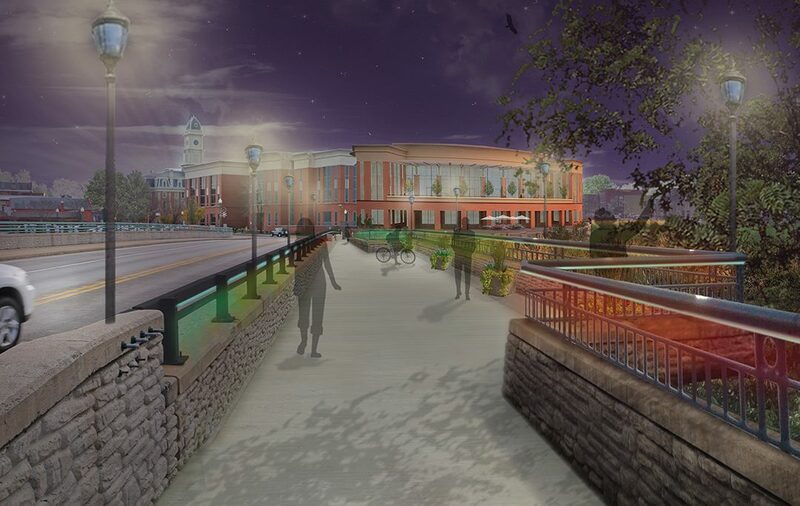 The project will widen the existing Logan Street bridge on its south side, giving pedestrians a safer and easier connection to the west side of White River and Federal Hill Commons. The path will extend over the river and serve as a viewing area. The bridge will cost approximately $3 million, with the county paying just more than half and the City of Noblesville paying $1,222,750. In April, the Noblesville Common Council unanimously approved a $1.2 million appropriation to Hamilton County, which will oversee the project. City officials say they hope the project will be completed this year but estimate a 2019 completion date to be safe. 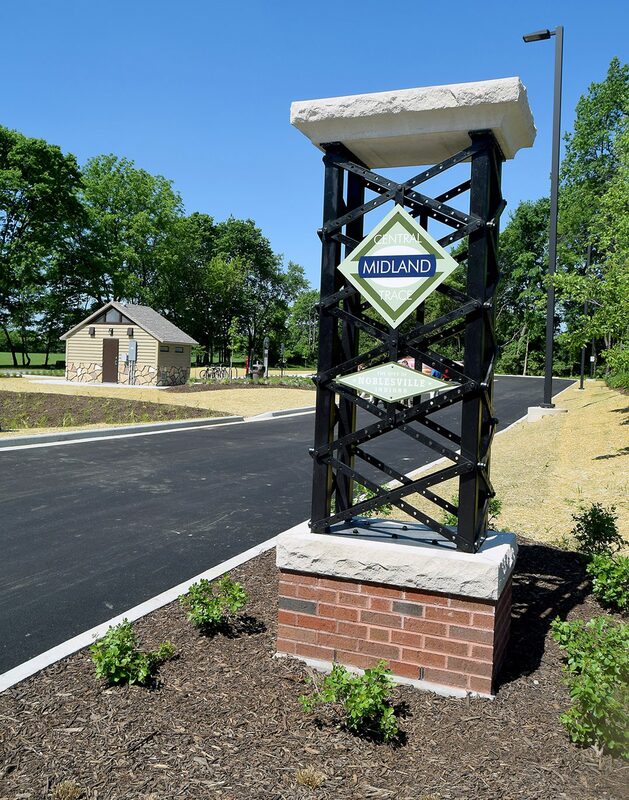 The Midland Trace Trailhead on Hazel Dell Road opened this spring. Work on third phase connecting Willowview and Hague roads will begin this year. Construction of the third phase of the Midland Trace Trail also will begin this year. The first phase connected the trail in Westfield at Gray Road to Hazel Dell Road. The second phase extended the trail from Hazel Dell to Willowview Road, and the third phase will connect Willowview to Hague Road. The final phase, which does not yet have a timeline, will connect the trail from Hague to the Riverwalk downtown. 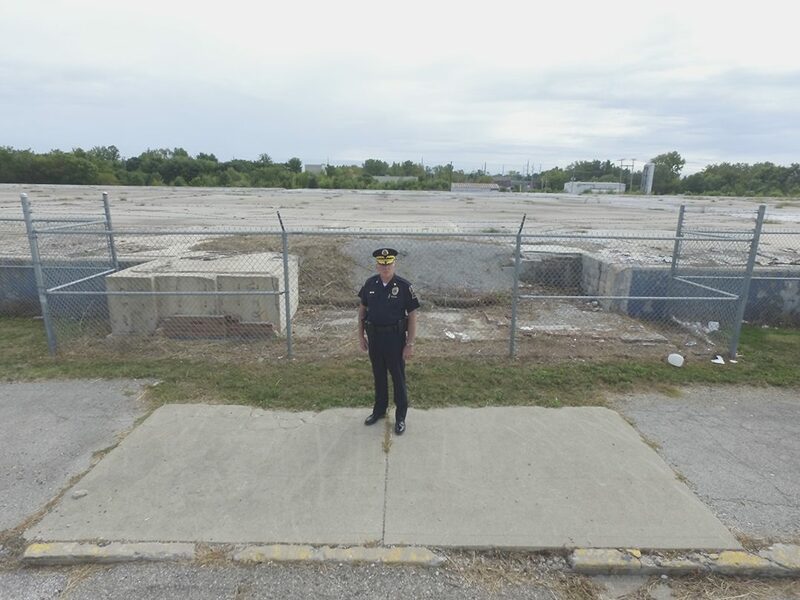 In his annual state of the city address last fall, Ditslear announced the city was looking to build a new police headquarters on the site of the former Firestone plant on Division Street between 15th and 18th streets. Although Ditslear would like to break ground on the project this year, the city is waiting on Firestone to complete final environmental testing on the site. Until results are back, the city cannot move forward on the project. “It has been designed, at least from an aesthetic standpoint,” Ditslear said. Because of environmental concerns, an existing slab on the site will stay, and the headquarters will be built around it. Outward development on the slab from the new building would include landscaping, including grass which could be grown on top of the slab. Ditslear said the city is looking at several options funding options but is likely to go with a BOT (build, operate, transfer), where the developer would construct the building and then lease it to the city. The current headquarters at 135 S. Ninth St., formerly the city’s post office, will still operate as the city’s public safety building. It houses city courts and is the headquarters for the Noblesville Fire Dept. When the police department moved into the current building, there were less than three dozen officers on staff. Today, there are approximately 80. Existing drainage issues are the driving force behind improvements on Olio Road from 141st Street to 146th. With new developments like BorgWarner, the city is adding its sewer services to the area and setting up sewer services for future development. The 2019-20 project also will widen the road in the area to four lanes and add a roundabout at 146th and Olio Road. The city has long discussed improving, widening and extending Pleasant Street, but this project would deal primarily with intersection improvements. “It will probably be roundabouts, but it will be kind of piecemealed,” Ditslear said. The first roundabout will break ground this fall at 19th and Pleasant streets. The Metropolitan Planning Organization and city have secured funding for the roundabout. Future intersection projects will be started as federal funding becomes available from MPO and will be prioritized by how congested and busy an intersection is along the road. An energy-efficiency project, the city will replace streetlights and poles along 146th Street from Ind. 37 to I-69. Various roundabout projects will be completed in 2021, but the most notable one is at Logan and Nixon streets adjacent to Federal Hill Commons, which experiences congested traffic during parks events, specifically the farmers market each weekend, in addition to traffic from Kroger. “Also, the Lakeview and Logan (intersection) gets bottled up, so we’re hoping that will smooth that out a little bit,” Ditslear said. A trail on South 10th Street would provide neighborhoods and subdivisions another access to the city center. Currently, there is no walkability or pedestrian connectivity from neighborhoods like the Wellingtons. The proposed trail would connect to the subdivision entrances. Coupled with the trail will be significant drainage improvements. Heavy rains often close part of the road during flooding. A pedestrian bridge could add more walkability and bikeability where Little Chicago Road crosses Morse Reservoir. Currently, the bridge is a two-lane road, and a pedestrian bridge would widen the road.